Happy Monday! I hope you all had a great weekend. I spent most of my Saturday at New Moon Textiles in Pasadena CA training on the new and amazing Bernina 780 Sewing Machine and my mind was blown. I cant wait until I am able to share in detail my experience. 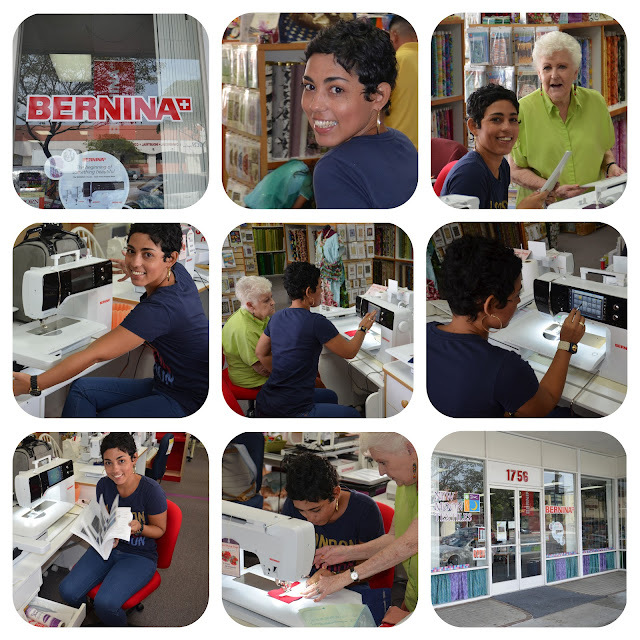 Picking Up The Bernina 780!! from mimi goodwin on Vimeo. Awesome! Looking forward to seeing what you and the Bernina 7 create. Is that a touch screen on the machine.....? Darn.....sewing machines have really come a long way....I remember the old school one with the wooden structure.....ah....fond memories. Congratulation Mimi....you deserve it. What a neat and exciting opportunity. Thanks, it is so exciting. How incredible! Enjoy the journey, and congrats! Super cool! You my dear are sewing Rock Star!!! Oh no!!!! Mimi's gonna be quilting soon....somebody stop her!!! LOL! Seriously, congrats on being picked by Bernina! Congrats!!! Can't wait to see your creations! What an amazing opportunity and experience! Mimi you rock girl omg I can't wait to see and hear all about that experience!!! CONGRATULATIONS MIMI! I can't wait to see how you like it. Congrats!! Such an awesome oppurtunity, I can't think of anyone more deserving. I can't wait to get the full review on the machine. Break it down, Break it down!!!!! 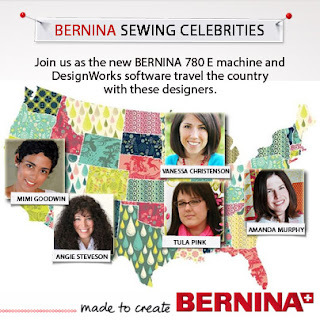 Bernina is the Ultimate in machines! U go Gurl!! Congrats Mimi! Really happy to see your growth from the opportunities coming your way! That machine is so sleek, looks really good! WOW!!!!!! Can't wait to see what you make with that BEAST!!!! I think I am just as excited as you are, LOL!!!!! Awesome! 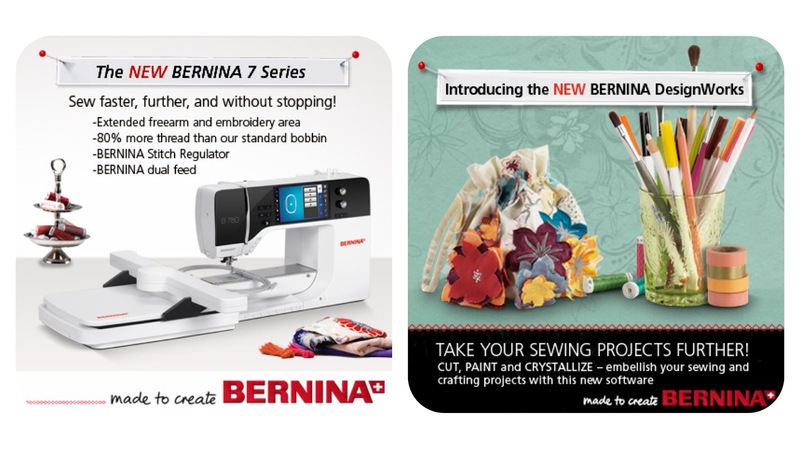 I'm so jealous, I can't wait to try one out myself - have fun and I can't wait to see what you make along with the BERNINA! How exciting, congrats.. You deserve it. Congratulations! I can't wait to see what you create :-) I too, almost passed out when I saw that price! Can't wait to see what it does!! Congratulations....I look forward to receiving a many tutorials to come! Can't wait to see what you come up with!! !